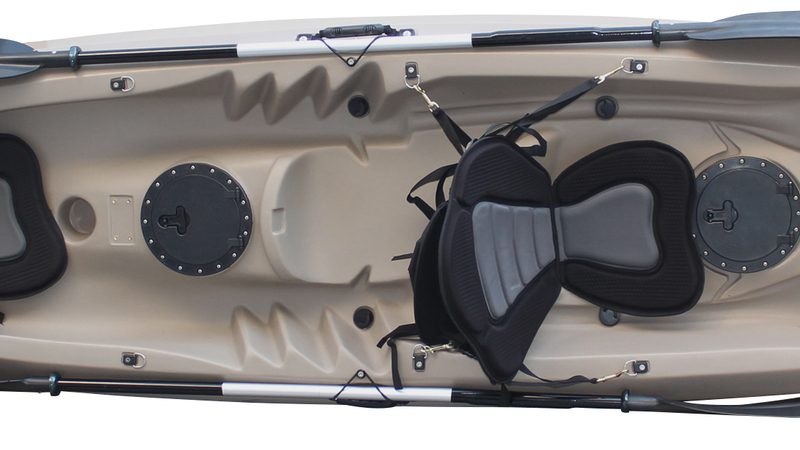 Universal open type fishing kayak ideally suitable for family (2 + 1) equipped with everything necessary for recreation and occasional fishing. 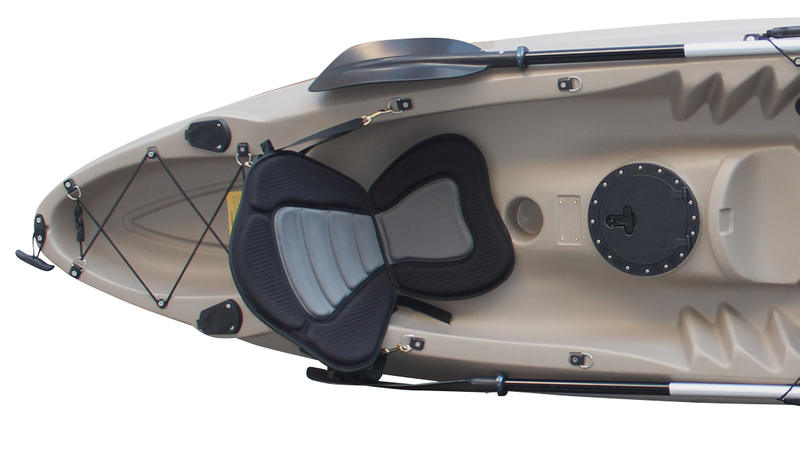 Can be used also by one person as seats are removable and one of them can be placed in the middle of the deck for solo riding. 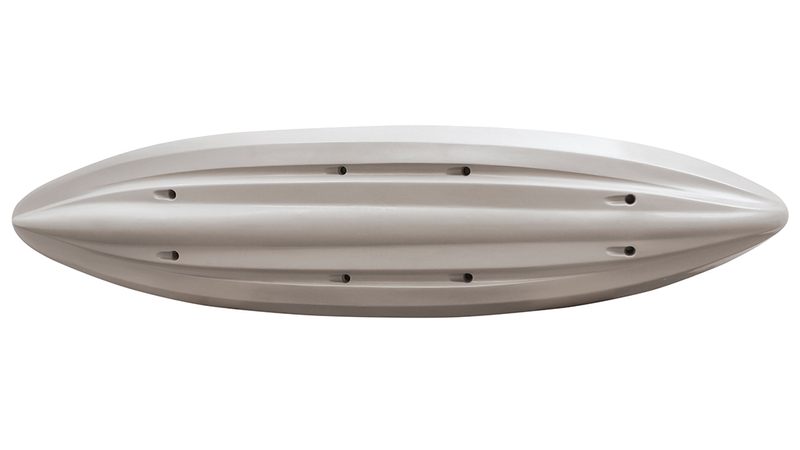 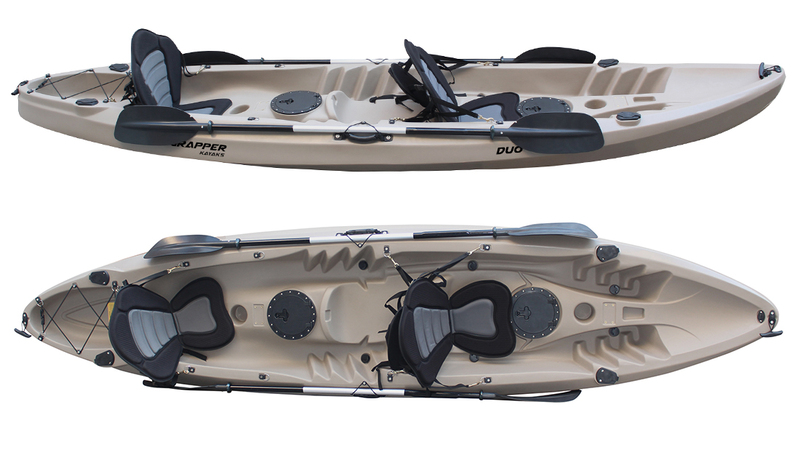 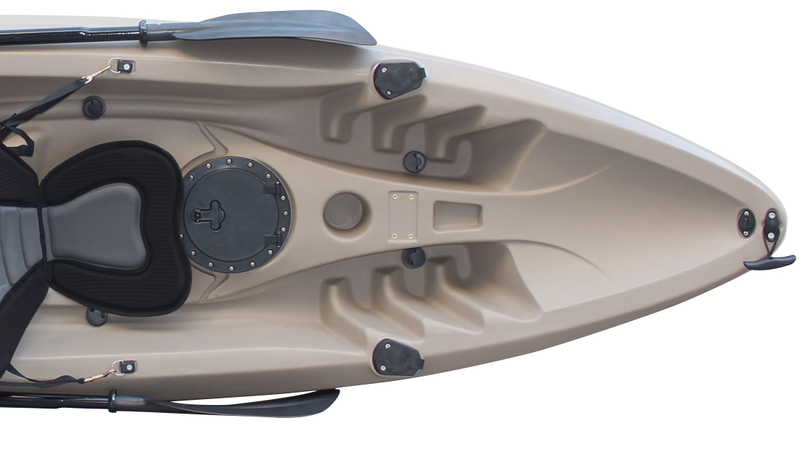 The Grapper Duo fishing kayak is especially suited for use in tandem or family, combining leisure and water trips with fishing opportunities.